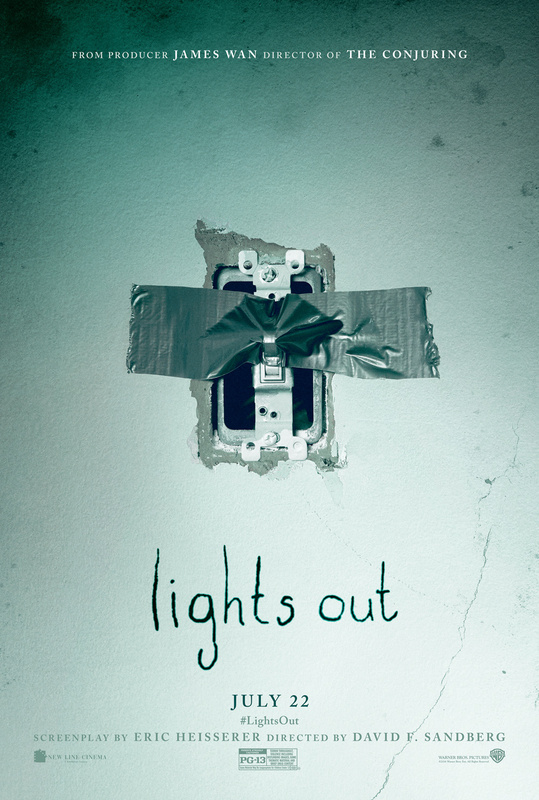 Had “Lights Out” been released after “The Ring,” it might be considered one of the all-time greats of supernatural horror. It has a genuinely creepy (if slight) premise, courtesy of a relentless, unstoppable villain, and several blood-chilling scenes. The film’s biggest problem is that it doesn’t trust its stuff, falling for the cliché trick of needlessly filling the score with crashing, ‘Boo!’ punches of percussion when the movie was already perfectly scary. Director David F. Sandberg would have been wise to take a page from executive producer James Wan’s “Conjuring” films and let the camera do the talking, rather than the score. Martin (Gabriel Bateman) is concerned for his mother Sophie (Maria Bello). He hears her talking to herself at night, and one night, he sees something frightening that he cannot understand. Martin begins falling asleep at school, since he refuses to sleep at night. When Sophie doesn’t answer calls from Child Protective Services after Martin has fallen asleep for the third time in a week, Martin’s adult half-sister Rebecca (Teresa Palmer) picks him up. When Martin tells Rebecca about Sophie’s friend Diana, Rebecca stops in her tracks. Diana was a girl that befriended Sophie when both were under psychiatric care as teenagers. Diana died during an unconventional treatment called light therapy, and in death, she has latched on to Sophie, moving in the darkness. (Rebecca saw Diana as a child too, but no one believed her.) As Martin and Rebecca learn more about Diana, the more aggressive Diana fights to keep Sophie to herself.